In a chaotic day of major roster changes, the Call of Duty community has watched top teams make some surprising decisions as they work to become champions in the 2014 season. In a chaotic day of major roster changes, the Call of Duty community has watched top teams make some surprising decisions as they work to become champions in the 2014 season. What started as an announcement from OpTic Gaming led into a massive whirlwind of news as more teams announced huge changes in their pro rosters. Here is a recap of the plethora of changes that took place today, with many more still to come in the coming days and weeks. It was no surprise that Optic would be announcing a new player to replace BigTymer’s spot after his retirement. However, it came as a shock to discover that Optic would be forced to find two players after Scump announced he would be joining Team EnVyUs. He joins Proofy, Goonjar, and Merk to continue into the 2014 season. After announcing his departure from Team Kaliber, who sealed a second place standing at UMG Philadelphia, Clayster joined Optic Gaming to fill the spot vacated by coach BigTymer. We would like to officially welcome OpTic Clayster to the team, who will be joining NaDeShoT and Ricky for the 2014 Season. In a move that surprised many, Chris “Parasite” Duarte announced his departure from Curse and joined Optic Gaming to fill Scump’s open spot. He joins the completed roster of Nadeshot, Ricky, and Clayster as they prepare for the rest of the 2014 season. After the departure of Formal, Team Fear announced that they would be parting ways with teammate CMPLX. With a team consisting of only Moho and Dedo, they are now searching for two players to complete the Fear roster. Myself and @FeaRDeDoXx will be looking for 2. We have decided to part ways with @FeaRCMPLX and formal left. Just keep in mind that this was the decision of the team, thanks guys. And I wish the best for @FEARS_sB. Team Justus is officially searching for one after parting ways with Heist who is now a free agent. eLevate, one of the lesser known teams made a surprising roster move despite a very good performance at UMG Philly. However, yesterday eLevate decided to release the team captain, SlasheR stating, “We have decided in our best interest since the end of UMG Philly has arrived – that we stroll down the road of looking for a new fourth – This decision comes from attitude and the better of the teams sake, of working together and achieving success. Watch out for eLevate to return with a new forth and impress everybody at the next LAN event. After making a roster change prior to UMG Philadelphia, picking up Stainville in place of Sin didn’t work in Fuse’s favor. After losing both games and getting knocked out early on at UMG Philly, Ivan “Thing2” Saavedra decided to part ways with the Fuse roster. He announced later that he would be joining former Fuse member, Sin who placed 6th at Philly with the pick up team Juked. The team @KG_Fuse will be looking for a fourth the roster consists of: Myself, @Fuse_Stainville & @Fuse_Whea7s . @ or dm me. Phaze and Moti of Dare made the decision to part ways with the Dare roster today. They are both Free Agents and will be looking for a team to represent. Multiple teams are now searching for new players to join their squads, and with many free agents to be had, it seems like the roster changing madness has only just begun. 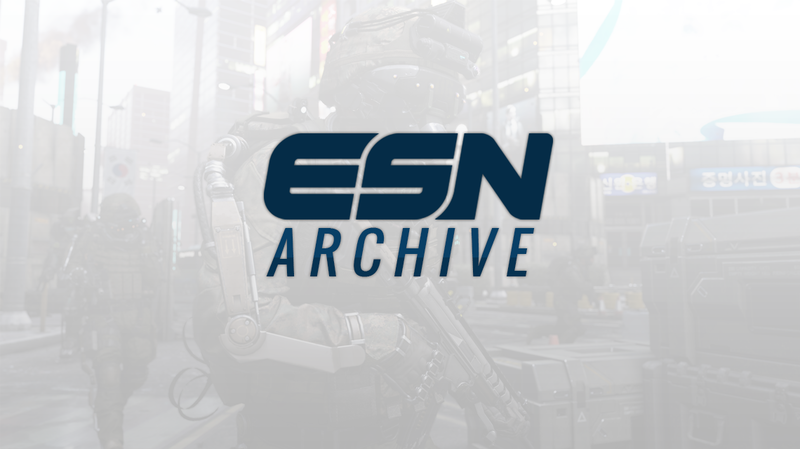 Make sure to stay tuned to [@eSportsNation](http://www.twitter.com/esportsnation) for all of the latest news in competitive Call of Duty.